Israeli Prime Minister Benjamin Netanyahu greeted the U.S. Secretary of Defense in Israel’s capital today with his toughest public assessment yet of the Obama administration’s failure to stop the Iranian nuclear program. In joint remarks to the press before their meeting at the Prime Minister’s Office in Jerusalem, Netanyahu offered a comprehensive critique of the administration’s strategy of stopping the Iranian program through diplomacy and sanctions. "[N]either sanctions nor diplomacy have yet had any impact on Iran’s nuclear weapons program," he stated. Nor are the Israelis convinced that Obama means it when he claims that "all options are on the table," the phrase the administration uses to imply that military strikes remain a possibility. 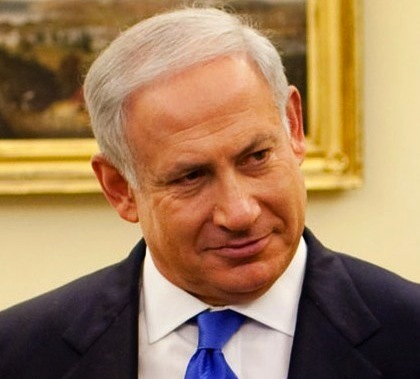 "These declarations," said Netanyahu, "have also not yet convinced the Iranians to stop their program. However forceful our statements, they have not convinced Iran that we are serious about stopping them." The Obama administration and campaign officials in recent months have spoken out against military action. In December, Panetta himself poured cold water on military strikes, telling a Brookings Institution forum that an attack "at best" would only delay the Iranian program by "one, possibly two years" and that some nuclear sites might be invulnerable to attack. He predicted that an attack would produce a diplomatic windfall for Iran and that no matter who struck, the United States "would obviously be blamed" and Iran would likely attack U.S. ships and military bases and "consume the Middle East in a confrontation and a conflict that we would regret." He also predicted "severe economic consequences." At their appearance before the press today, Netanyahu appeared to underscore those comments from Panetta, observing, "Right now the Iranian regime believes that the international community does not have the will to stop its nuclear program." Panetta responded by stating that the Obama administration "will not allow Iran to develop a nuclear weapon, period." President Obama has never employed that formulation, only stating that it is "unacceptable" for Iran to possess nuclear weapons, and that "as president of the United States, I don’t bluff." The Israelis seek to stop Iran’s entire nuclear program, not merely its possession of nuclear weapons, in fear that Iran could reach "breakout" capacity in which it would be able to complete a nuclear bomb on short notice and without detection. Republican presidential candidate Mitt Romney’s position on Iran is also at odds with the Obama administration. Romney stated in a recent speech in Jerusalem, "Iran’s pursuit of nuclear weapons capability"—as opposed to its possession of nuclear weapons—"presents an intolerable threat to Israel, to America and to the world." This entry was posted in Politics and tagged Benjamin Netanyahu, Iran, Israel, Middle East, Sanctions. Bookmark the permalink.